Experience the colours, flavours, rich history, art and captivating landscape of Cinque Terre and Tuscany on this fantastic escorted tour. 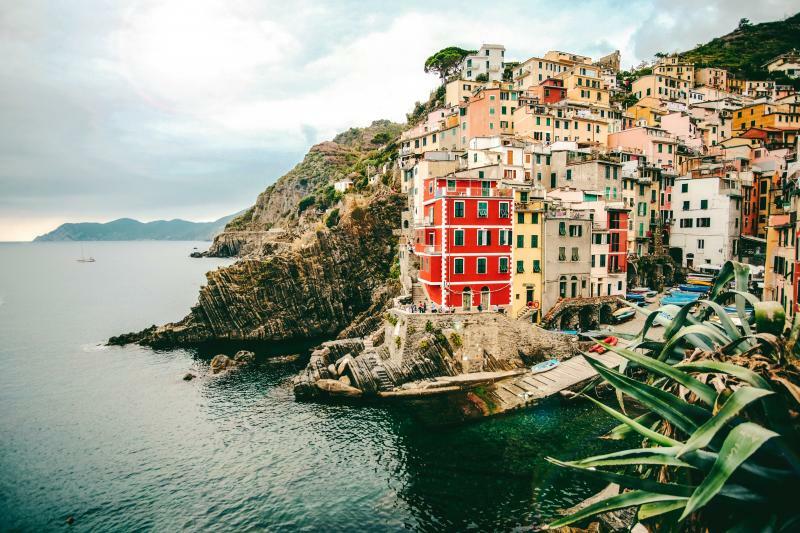 Explore the beautiful scenery of Cinque Terre from the stunning beaches of Monterosso to the charming streets of Vernazza. Head off to Montepulciano an ancient village rich of medieval buildings, Siena renowned for the Palio di Siena and Pisa with its famous Leaning Tower! Meeting point at a central location in Rome or pickup at the hotel from 6.30am. Meet your tour guide and start a delightful trip along the Tyrrhenian Coast. You will cross the Etruscan lands into the Grosseto countryside, well known as Maremma. This is one of the new areas of excellence in Italy's viticulture. Meandering through the Tuscan countryside you'll arrive at a beautiful local winery near the regional park and close to wonderful beaches. Experience the winemaking process up close, from the vineyards to the cellar, to the ageing of the wine. After breakfast, depart by boat for an unforgettable day dedicated to the discovery of one of the most amazing and enchanting landscapes in the world: Cinque Terre. “Cinque Terre” is an area suspended between sea and land, hanging from sheer cliffs, surrounded by hills and vineyards. You will enter into a little piece of heaven. By touring the coastline by boat, you will have the possibility to admire this amazing landscape from the sea. (*In the case of rough seas, the visit will be done partly by coach and partly by train.) During the tour, the boat will reach Porto Venere and the most important villages, where you can stop and visit them! Take some pictures in Porto Venere, Vernazza and Monterosso, walk the narrow streets and immerse yourself in a colourful postcard! After breakfast at the hotel, depart to discover the Chianti Classic Gallo Nero region and admire one of the most iconic villages: Radda in Chianti. Visit the small town on your own and then proceed by private coach to San Giminagno, a tiny city that has remained intact through the centuries. It is situated on a hilltop and is famous for its towers, frescoes and other art treasures. Once you have left San Gimignano you will make a stop in a farmhouse to enjoy a wine tasting with typical snacks.